Are you looking for more than just another happy hour? Our happy hour and volleyball event is a great introductory event to help you get active outdoors and to meet other people who are also looking for more than just happy hour. 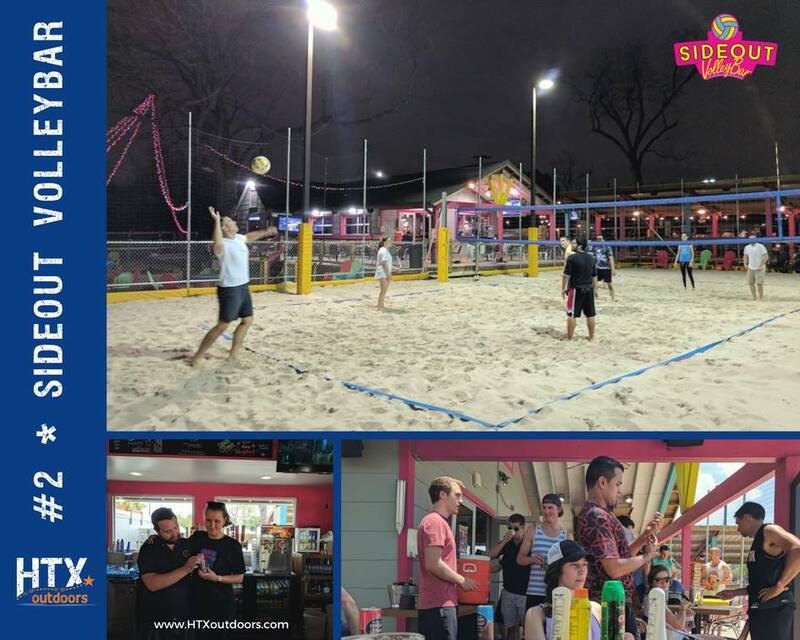 Our happy hour and volleyball event is a great introductory event to help you get active outdoors and to meet other people who are also looking for more than just happy hour. Plus having games to focus on, helps remove some of the awkward pauses that can happen the first time you meet someone. And the best part… you’re meeting people who with similar interests. Not just people interested in happy hour or volleyball. The group of people who attend this event are looking for new friends who want to explore Houston, try new things, and get outdoors! Dog & Kid Friendly: Dog-Friendly for friendly dogs. Dog must be on a leash… UNLESS… you let them loose in the dog park attached to the patio!